The sides are separated by just one goal, after Saul Niguez's brilliant strike at the Vicente Calderon gave Atletico Madrid the 1-0 success. Bayern Munchen put their Bundesliga title celebrations on hold at the weekend as the Bavarians drew with Monchengladbach 1-1. Pep Guardiola fielded a weakened side and that was only the second time this season that a team has avoided defeat in a competitive match at the Allianz Arena. They have won all of their 5 matches at home in this season’s UCL. They have scored a mammoth 19 goals during the process and conceded just 3. Atletico Madrid team recorded another 1-0 win over Rayo Vallecano in La Liga BBVA last Saturday and kept pace with La Liga's title chasing teams Real Madrid and Barcelona. Atletico have failed to win their last two Champions League away matches, first a 0-0 draw against PSV followed by a 2-1 defeat in the quarter final to Barcelona. Anyway, the Colchoneros have kept a clean sheet in 7 of their last 9 UCL matches. Bayern Munich: Neuer – Lahm, J.Martinez, J.Boateng, Alaba – Vidal – D.Costa, T.Muller, Alcantara, Ribery – Lewandowski. 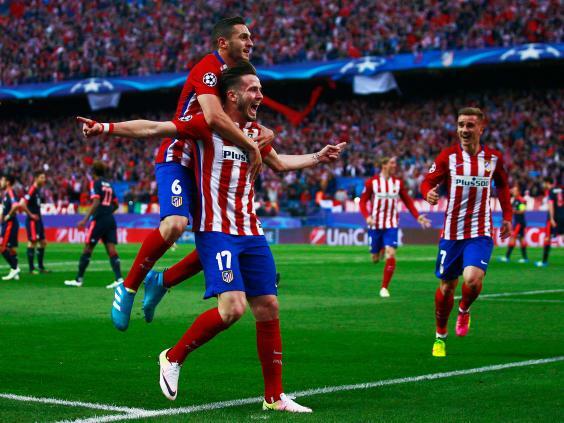 Atletico Madrid: Oblak – Juanfran, Gimenez, Godin, Filipe Luis – Gabi, A.Fernandez – Koke, Saul Niguez, Griezmann – F.Torres.